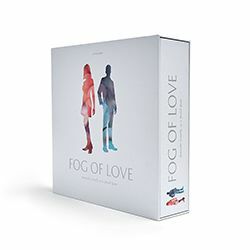 I think we accidentally discovered a void in the board game market. 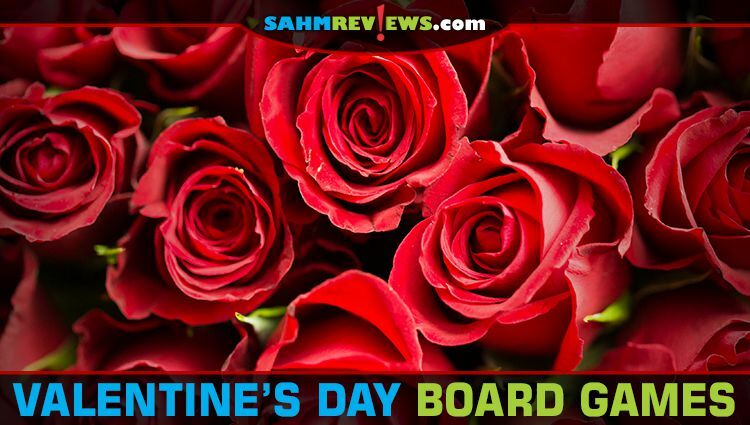 We were searching for Valentine’s Day themed games to bring to our weekly game night and discovered that there really aren’t that many. Sure, there are plenty of games on the back shelf of Spencer’s Gifts that are designed to make you blush or get downright nasty. That’s not what we were looking for. 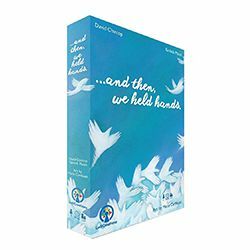 We were looking for games that celebrated the spirit of the day. If they ended up leading to other “gifts” being given, then I guess that’s just a bonus. 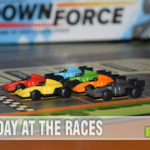 Because we would be playing these with friends, but not THAT close of friends, we needed something that was more like the games we played with them on a regular basis. We found eight. Only eight out of the thousands of new games that debut every year. Some of these we’ve talked about on SahmReviews in the past, others we’ve never been able to try out ourselves. All of them fall into the category of modern board games, so no UNO Hearts or Valentine’s Day versions of Scrabble. All of the eligible young men (and many of the not-so-young) seek to woo the princess of Tempest. Unfortunately, she has locked herself in the Palace, and you must rely on others to bring your romantic letters to her. Will yours reach her first? Your goal is to get your love letter into princess Annette’s hands while deflecting the letters from competing suitors. 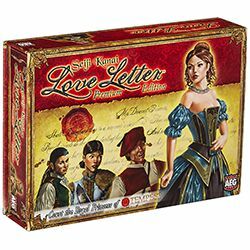 Read our Love Letter Overview! What happens when Cupid shoots his magnet?! The fun and flirty version of our original Attraction game where skill, strategy and a little bit of luck result in a chain reaction of magnetic proportions! Players shoot their heart-shaped magnets into the playing field to attract other magnets. Due to their unique shape, gameplay is remarkably different than the original game. Whoever collects the most magnets wins! Fun to play with anyone, anytime, anywhere. Get ready to prove just how irresistible you are. 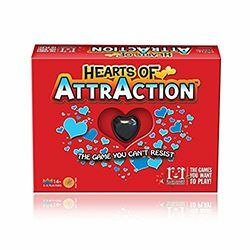 Read our Hearts of Attraction Overview! You know there is money in chocolate, but it doesn’t just grow on trees. You need to control the links in the production chain to get your cut of the cash, by making sure the cocoa flows through your businesses instead of your competitors’. Sometimes you need to help your customers and suppliers to help yourself. If you are wily, you can figure out a way for your competitors to do the work for you. Create monopolies, cut off the supply chain, disrupt other players’ finely honed plans—do whatever it takes to become King Chocolate. 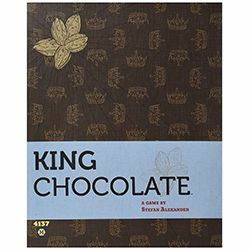 Read our King Chocolate Overview! Ren: a young girl who lost her family under terrible circumstances and has now fallen into a catatonic state. Feth: a foreign boy with the ability to read the hearts of others. Together, they will try to wake Ren by rebuilding the memories closest to her heart, but ravens have come to feast on her heartbreak, and they will not be denied. 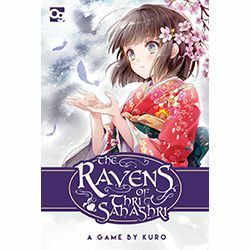 The Ravens of Thri Sahashri is a beautifully illustrated cooperative card game in which players must work together to rescue Ren from the darkness. Read our The Ravens of Thri Sahashri Overview! A co-operative game about finding balance, the two players must complete objectives and reach the center of the board. The players take turns trying to fulfill the current common emotional objective by discarding emotion cards to move from node to node. They must do this without verbal communication, empathizing and always considering each other’s situation when making a move. 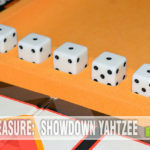 The players win by meeting in the center while in a balanced state and within one turn of each other – something quite difficult, and therefore very rewarding when achieved. In The Pursuit of Happiness, you take a character from birth and live the life that you always wanted. You spend time to take on projects, get new jobs, buy items, establish relationships, and raise a family. The possibilities are endless as you attempt to avoid stress and create a memorable story in every game. How much will you achieve in just one Lifetime? Each team assumes the position shown on the card, placing a rubber balloon between them, in the ‘contact zone.’ The first team to pop their balloon wins the round! Includes a deck of positions and a generous supply of rubber balloons! BUY DIRECT FROM THE PUBLISHER! No matter which game you choose, even if one of the 18+ versions not mentioned here, we hope you will be enjoying your holiday with someone you love. And don’t fret, if you are spending Valentine’s Day alone this year, it is only nine more months until Single’s Day! What games will you be playing on Valentine’s Day? This is a great list of ideas. I think I would like King Chocolate. 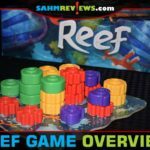 This is a great post of unique games to try! Thanks for sharing! 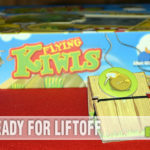 King chocolate is a fun theme with a simple method to follow. Very easy for kids to understand and follow. I was looking for Valentine’s games recently. All I could come up with was Love Letters and Hearts of Attraction. Thanks for the other suggestions! Well King Chocolate would fill the bill for all! I would love to play King of Chocolate. I have never heard of any of these games. Thanks for the article. 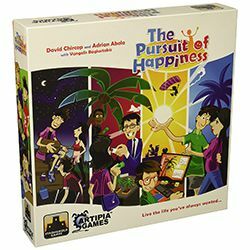 I really like the description of The Pursuit of Happiness game. Sounds like a more in depth version of The Game of Life.